2. New wriggle guards provide double protection at the back of the nappy as well as the sides, particularly helpful with major poo-plosions! 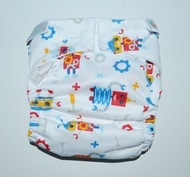 If you have a heavy wetter, boosters may be purchased to increase the time these nappies last for. Alternatively some people prefer the super absorbent yet surprisingly trim night nappies for use during the daytime for super heavy wetters or long car trips, for example. 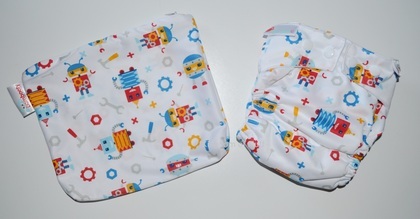 Size Small easy nappies have 2 rows of snaps for a snug fit on newborn legs. Use the lower row for a smaller fit, either folding over the top or keeping it up for tummy time. 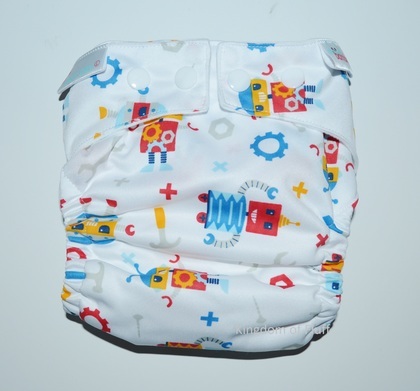 Please note: Bambooty easy dry nappies are slim fitting and fairly low rise, so if any doubt at all about the sizing, then we would recommend buying the size up.